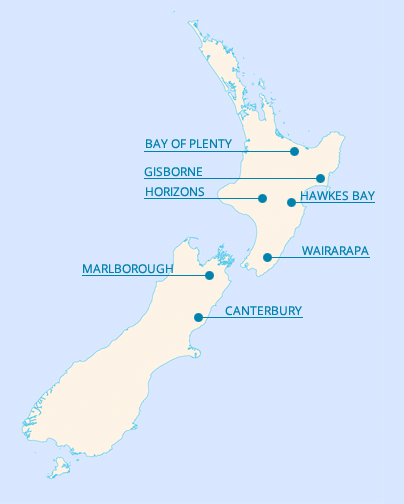 The NZDFI has a rapidly expanding network of trial sites throughout eastern New Zealand from North Canterbury in the South Island to Gisborne in the North Island. A range of landowners are hosting trials on their land, including farmers, vineyard owners, local authorities, and large-scale forest owners and processors. Take a look at some of our sites by clicking on the links below.